If you live in Mesa or anywhere in the neighboring area and you are in need of a professional and reliable window cleaning service, then you have definitely come to the right place! Arizona Window Washers is surely the company that you have been looking for, because we have the best window cleaning services, not only in Mesa, but in the surrounding areas as well. No matter if you are a commercial or a residential customer, we guarantee that you will be satisfied with our to quality window washing services. No matter if we are talking about commercial window cleaning or residential window cleaning you should know that we have on board some of the best trained and dedicated window washers and window cleaners in the field. We pride ourselves in always having satisfied customers, because no matter how complicated a job may be, our window cleaners and our highly professional window washers can always find an effective solution. Arizona Window Washers has been the best window cleaning company in Mesa for years, because we highly value our customers and we always take into account their needs. We hold our work to the highest standards and we never disappoint our customers. As a result our residential and commercial window cleaning services have always had only satisfied customers. This is because no window washer in Mesa is as dedicated and as professional as we are. Apart from having on board some of the most skilled window washing technicians in the field, we also have invested in working with some of the most innovative and groundbreaking solutions and equipment. Here, each window washer is trained to work with top of the line equipment and it taught how to deal with some of the best window washing solutions currently available on the market. 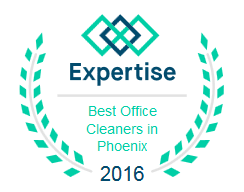 This is what makes us the best service when it comes to window cleaning in Mesa. More than that, no matter if you are a commercial or a residential customer, you should know that our prices are unbeatable. We have made it our goal to have the lowest prices on the market and we are proud to say that we have accomplished this goal. We guarantee that you will not be able to find a more affordable service of window cleaning in Mesa or anywhere in the surrounding areas. Our highly trained cleaning technicians, our innovative solutions and our modern equipment recommend us as the best window washing company in Mesa. More than that, we have countless satisfied customers who can prove the fact that we treat each job with professionalism and that we never fail to deliver the highest quality window cleaning services. All you need to do is give us a call and see for yourself just how great we are!